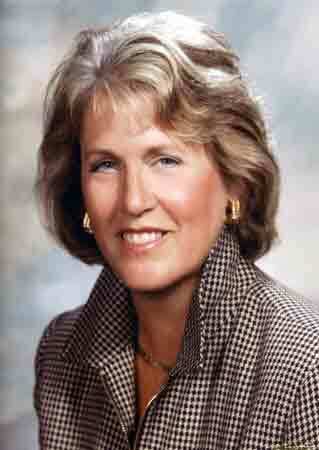 Meet Carol Gregor, our "OD" Thought Leader in November 2003 on the topic of "Home Harmonics". Writer/Design/Build professional. Maine and Florida. I spend my time researching thinking from an historical, architectural, sacred geometries and philosophical perspective looking for a common language to use today in a diverse and complex world. While studying with Fritjof Capra, realizing how far we need to go to expand our "thinkers" to include a broad range of cultures, sexual diversity and backgrounds to accommodate an expanding and threatened environment. Using dated methods of thinking from a traditional perspective has gotten us where we are today. Al Gore's book, Stephan Harding's Animate Earth, Thomas Moore's Dark Nights of the Soul. This is a wonderful forum for thinkers. 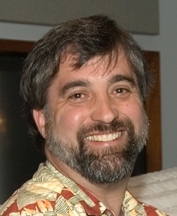 Meet Perry Woodford, one of many network members from Boeing operations in Puget Sound. Manufacturing Engineer for Boeing Integrated Defense Systems in Seattle for 21 years. I started in graphite composite structures for the B2 program and have spent the past five years as the team leader of refrigerator-sized electronic cabinets for military missions. Outside of work, I am a youth soccer administrator and coach. I coach two soccer boys 15 year olds and girls (my one and only child) 11 year old. As President of the Soccer Association, I am responsible for over 200 youth teams and hundreds of volunteers and paid staff. With much support from my wife, Sharon, we run three soccer tournaments each year - the largest has 182 teams over two weekends in August. I have been on the planning committee and attended all five forums. I work on a program dealing with Australia and Turkey. Most everyone speaks English well. Just because we speak English does not mean we are communicating. Yes, I have heard this before but it is very evident when dealing across these cultures. When you get discouraged or down trodden relax and call a friend. Everyone I have met in the network listens well. Schedule: the first seminar has been moved from the week of October 2 to the week of 13 November, beginning at noon on Monday and ending at noon on Friday. I originally purchased this book from a recommendation on Tom Peter's website, and as a statistician was definitely intrigued by the concept. 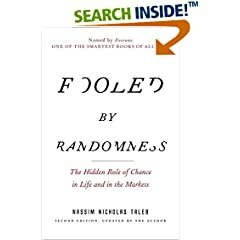 We humans are quite consistently and continually "fooled by randomness". Now, for the non-statisticians and statisticians alike is the great thing - there is not a single mathematical expression in the whole book. Many fairly sophisticated statistical theories are presented, but supported in an empirical, story-telling manner. The author does make many references to the results of Monte Carlo simulations, but does not give the detailed results in the book. For those who just have to have it, simply "Google" Nassim Taleb and you will find his home page, full of all sorts of technical articles, such as "Learning Derivatives from Commodity Derivatives". Nassim details several stock market stories, including some rather spectacular failures based upon assuming that past success would guarantee future success. Although he makes no reference to Deming, the phrase "there is no knowledge without theory" resonates through the book. Nassim repeatedly refers to the "Black Swan" or the rare event. One instance of a black swan disproves the supposition that all swans are white. We see patterns in random events, and then try to act upon those patterns, often to an eventual great financial and emotional demise. MBA's become a target of the stories, and Nassim shows that MBA's have not been trained to respond well to randomness. The world is mechanical, predictable, two plus two equals four for an MBA. One complaint is that MBA's tend to summarize issues without comprehension. The core idea is lost. One of the concluding thoughts in the book is "We favor the visible, the embedded, the personal, the narrated, the tangible, we scorn the abstract". Perhaps this is why I hear the lament "all you statisticians do is make things difficult". Well, with "Fooled by Randomness" we get the best of both worlds. Elegant story telling and essays that bring the abstract forward, and provides us with some theories that we can build knowledge from. In recent years, with the growth of the knowledge economy, the number of project-based organizations has escalated considerably. Concurrently, there has been significant progress in the development of computer-aided project management tools to help plan and manage projects. And yet, more often than not, capital projects overrun their budgets, fall behind schedule, and/or fail to meet their business objectives. This paper examines the nature of this apparently paradoxical situation and proposes a different strategy for improving project performance. Specifically, the paper argues that the problem stems from the nature of the traditional paradigm, which relies on existing knowledge - knowledge gained studying traditional approaches. Specific attention is paid to some of the common problems that cause projects to fail. "Systems thinking" or "a systems view of the world" is evolving as an alternative to the old paradigms. This paper examines the implications of systems thinking in project management competency learning. The Ongoing Discussion (OD) for August will feature Anna Maravelas. On Thursday, August 24th and Friday, August 25th, Anna will engage us in a dialogue on How to avoid conflict and stress in the workplace. Click here to download a preview of Anna's thought piece. This month's OD announcement will be released on or before Friday, August 18th. For those readers not already on the OD mailing list - click below. Many of our "Network Members" pride themselves in making a positive difference in the world. Among them is David Train, from Fladbury, England, who regularly sends letters to heads of state in the US and the UK. Follow this link to find some of David's recent letters, including one to Secretary of State Condoleeza Rice. You are welcome to reach David at DavidWTrain@aol.com to learn more about his efforts. Watch this spot for Forum details. The Center for Social-Profit Leadership - Supporting the Business Needs of Social Entrepreneurs. Find out more here. In this feature, we highlight a Partner Organization of the In2:InThinking Network. We believe the resources of these organizations will expand your thinking about thinking... This month we are featuring the International Futures Forum. The International Futures Forum is a non-profit organisation that exists to develop the capacity to sustain human aspiration, realised through wise action, in a complex and challenging world. We work in areas where there are no easy answers, where existing models fail to make sense of our confusing reality, where we are in over our heads, where we face an unacknowledged 'conceptual emergency'. This challenges us to explore and develop new thinking methods. The principal resource of the International Futures Forum is a group of highly skilled individuals who come together in IFF to pool their knowledge (and their ignorance) and to operate at their own growing edge. IFF benefits from relationships with partners who support our work in a variety of ways: subscription to our electronic journal, working with us on challenging issues, or providing core support to develop and promote IFF thinking for the common good. IFF is a self-support network with ad hoc funding. Our small core staff is based in St. Andrews, Scotland. We also benefit from the use of IFF Member Pat Heneghan's purpose built conference and workshop facilities at The Boathouse, on the shores of the Forth estuary at Aberdour. Psychological literacy in an age of globalisation; investigating the conceptual emergency behind the dilemma of energy security and climate change; the art of better giving around social entrepreneuring and the future of philanthropy; new approaches to rural community development; world modeling as a context for policy integrity. Additional discounts for teams of four or more!